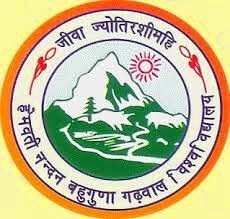 HNB Garhwal University B.A Final Year Exam 2015 Results :- The HNB Garhwal University has recently declared the results of B.A (Bachelor of Arts) Examination 2015. The Examination was held earlier in this year and now the university declared its results. As we know that there are many of students are appeared in the BA Final Year Examination 2015 and then everyone were waiting for their results. So now the wait is over and all the students can easily get their result online. The B.A Final Year Exams 2015 result is available in the official website of the HNB Garhwal University Uttarakhand. Labels: B.A Final Year Results 2015, Exams, HNB Results of BA, Results.